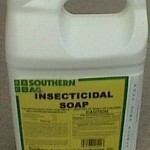 PRODUCT DESCRIPTION: Non toxic soapy material which can be applied onto any plant. 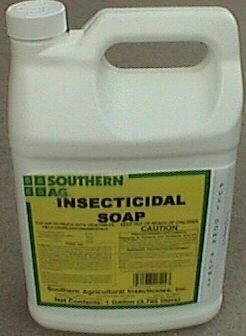 It works by suffocating targeted insects and though is very safe to use, it will not last long. It generally only lasts when wet and once dry will not be active so expect to have to use it several times to get control. TARGET PESTS: Most any garden insect including aphids, mealybugs and whiteflies. WHERE TO USE IT: Outside on any plant you want to protect. RATE OF APPLICATION: Use 2.5 ounces per gallon of water.